SINGAPORE: GoogleStreetView has arrived in Singapore - making it the first in Southeast Asia to have a virtual street guide based on photographs. 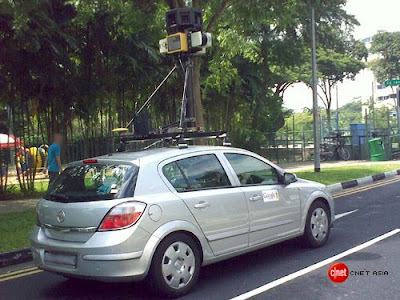 Cars fitted with cameras went around Singapore earlier this year to take the shots. The technology by Google allows users to view and navigate 360-degree street-level imagery, including the country's most iconic sights. Google said that faces and licence plates are blurred out, and one can see what already is visible on public roads. The web-based application can also be used on mobile phones. Businesses and organisations can add their own listings onto the application for free. Google Street View was launched in 2007, and is currently available in 100 cities around the world. Countries in the Asia-Pacific that already have Street View are Japan, Australia and New Zealand.